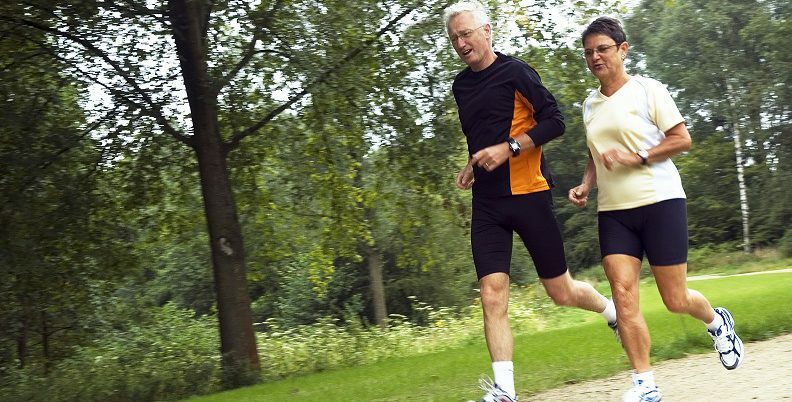 As a consequence of extended lifespans, the occurrence of age-related conditions is expected to increase. This has led researchers and physicians to search for a common pathway to address these conditions with a single treatment. An enzyme called 5-LOX may be the ideal candidate: Activity of the 5-LOX enzyme significantly increases with aging and studies have associated this enzyme’s activity with various diseases for which aging is an increasing risk factor including joint pain, arthritis, respiratory conditions, cardiovascular disease, and neurodegenerative diseases. Research has tied numerous medical conditions to a single enzyme – 5-LOX. 5-LOX stimulates the manufacture of pro-inflammatory molecules called leukotrienes. Chronic inflammation is an underlying factor of obesity and it’s peripheral diseases including metabolic syndrome and insulin resistence. Leukotriene-producing 5-LOX activity is increased in humans with obesity and insulin resistance. When leukotriene inhibitors were introduced to obese mice, they “were protected from systemic glucose and insulin intolerance and this was associated with a decrease in inflammation in adipose tissue and liver and a decrease in hepatic triglyceride accumulation”. This suggests that controlling the 5-LOX enzyme is a valid therapeutic target for controlling obesity and related diseases. Leukotrienes can provoke most of the signs and symptoms of arthritis as a result of the inflammatory response. “Interplay of synovial cells and the incoming leukocytes leads to production of cytokines and activation of the complement cascade” which leads to perpetual inflammation. Boswellia serrata is a tree gum resin that has multiple health benefits. Also known as frankincense, boswellia has been used in religious and cultural ceremonies for centuries. 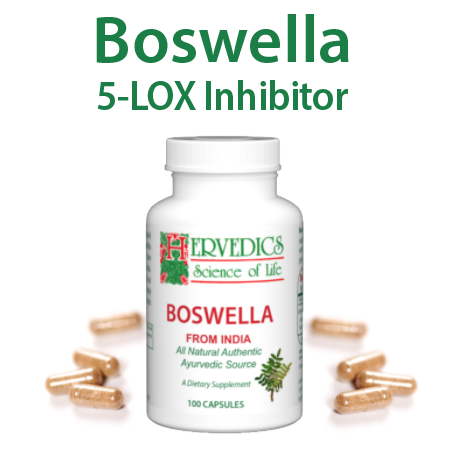 Boswellia also happens to be one of the most powerful natural inhibitors of the 5-LOX pathway. 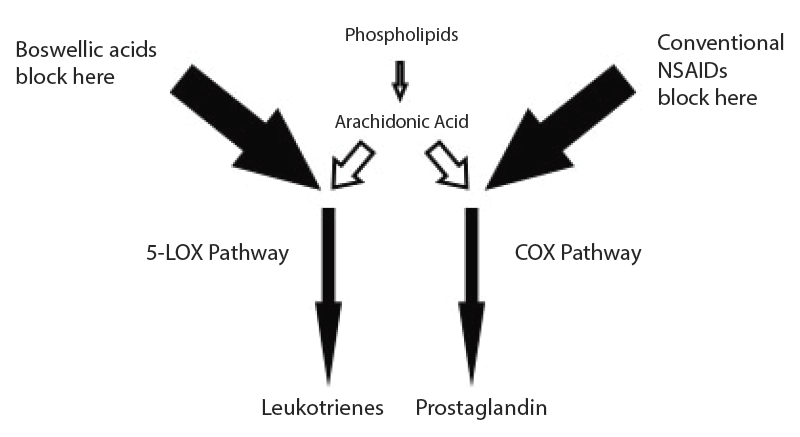 Boswellic acids bind to the 5-LOX enzyme, slowing it’s production of pro-inflammatory leukotrienes. However, there is no effect on COX activities. This explains why, unlike NSAIDs, Boswellia has no undesirable side effects. Because many of the poor health conditions of aging are associated with increased 5-LOX activity, Boswellia is an important part any anti-aging protocol. Legere Pharmaceuticals uses only the highest quality Boswellia extracts in Boswella Capsules. For more, click here for the white paper! A. Kimmatkar, N., Thawani, V., Hingorani, L., Khiyani, R. (2003). 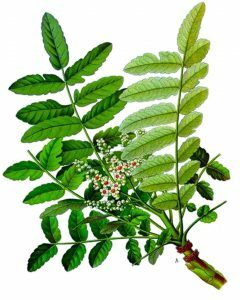 Efficacy and tolerability of Boswellia serrata. Phytomedicine, 10(1), 3-7. A. Berger. (1999). What are leukotrienes and how do they work in asthma? BMJ, 319, 90. Mathis, S., Venkatakrishna, J., and Haribabu, B. (2007). Role of Leukotriene B4 Receptors in Rheumatoid Arthritis. Autoimmun Rev. 7(1), 12-17.